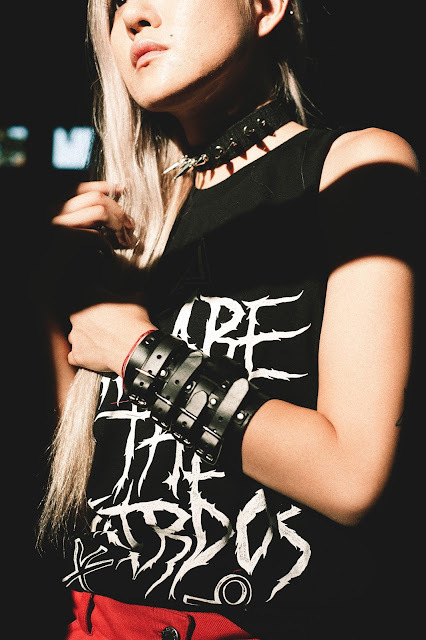 I went back to my grunge/punk roots with this look! I love dressing in all styles but it was nice revisiting all this badass hardware. 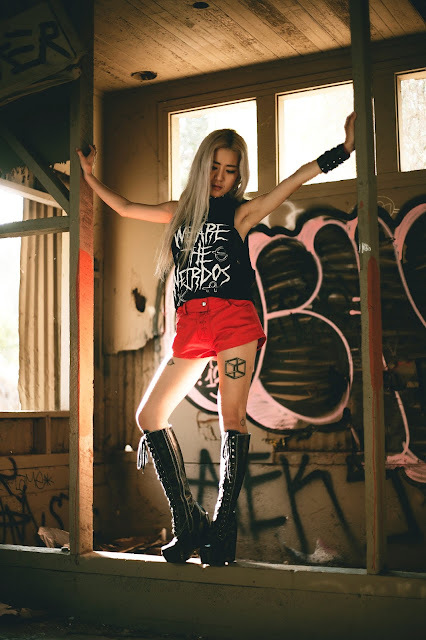 My tank is from Grit N Glory, a boutique based in New York that has an online shop as well. 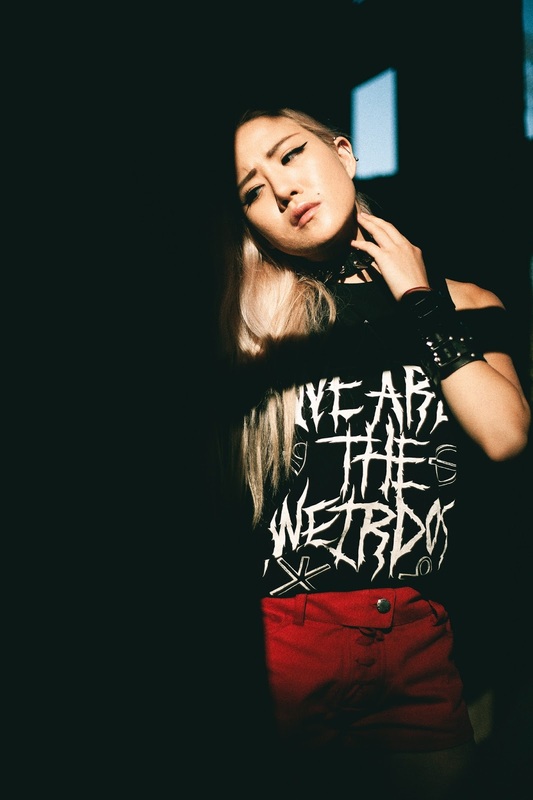 They have some of my favorite graphic tees around--cool and somewhat evil. 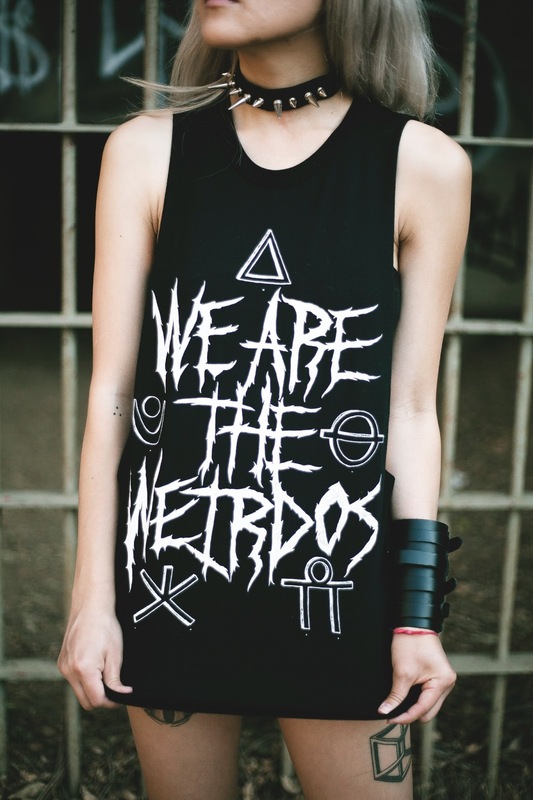 This deep armhole tank reads "We Are The Weirdos" from the Invoke The Spirits collection. I paired it with these cute red corset shorts from This Is A Love Song. Their stuff is normally breezy and colorful and fun so it was interesting putting a dark spin on these shorts! They're really versatile! AND they're named Unicorn Shorts. Win-win.